Influencer marketing: which content type and what kind of call-to-action? Nowadays, social influencers can choose from a wide range of content types. In addition to the traditional blogs, YouTube videos and Instagram posts, Instagram Stories gain popularity at a remarkable pace. In this blog we investigate which platform is most suitable for what purpose. 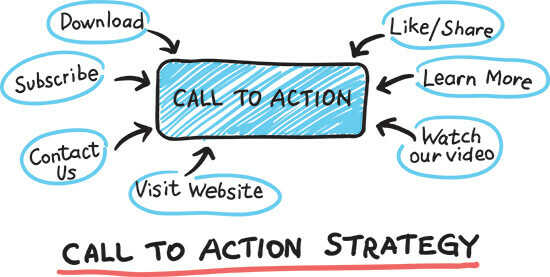 We also explain what kind of call-to-action (CTA) you can use to achieve the desired goals. Influencers have a large following and are able to create brand awareness like no other. All content types – from YouTube videos to Instagram posts – are powerful tools to create awareness about a brand, product or service. A strong call-to-action is important to maximize the reach of the content your influencer creates. Ask followers to like or share the content and the reach will increase rapidly. Free giveaways are a smart way to tempt followers; in exchange for a like or share you give them a chance to win a gift from their favorite influencer(s). Instagram’s users are much more engaged than users on other social media. This is mainly due to the structure of Instagram. The platform is visually attractive, allows your influencer to add text and hashtags and is very inviting for users to leave comments. It’s no sweat to reply to a post or ask questions via the questions sticker – for example. Additionally you can involve others in the conversation by tagging them. An influencer can boost this engagement with a call-to-action, for example by asking their followers’ opinion about a product or service. Not too long ago, it was a backbreaking exercise to create website traffic through social media posts. With the birth of Instagram Stories in 2016, this completely changed. With Instagram Stories you can create and decorate a compilation of recent photos and videos. Nothing special, we hear you say. That’s because the game changer is wrapped in the swipe-up feature. Instagram users with enough followers – like social influencers – can add a link to a website which followers can access by swiping up. Make sure that the follower actually swipes up and clicks on the link by adding an attractive call-to-action to the content. Influencers with their own blogs are similarly suitable for generating traffic. By adding links to an interesting blog post, your influencer can direct the reader in an intuitive way to the intended website, while working on your backlinks and SEO! The main goal of most marketing strategies is to increase the conversion rate and ultimately the sales numbers. Having your influencer share promo codes with Instagram posts is a great way to increase sales and conversion. This way you reward the customer for following your influencer, while persuading him or her to buy the product or service. This tactic works great with Instagram Stories as well. With the swipe up feature your influencer can share a link that directs to a landing page where the follower can benefit from a discount or other attractive perks. An Instagram Story automatically disappears after 24 hours. This creates a sense of urgency, encouraging the customer to purchase instantly. So to determine what platform and which content types (and which influencer) is most effective, it’s key to decide what the goal of the campaign is. Whichever platform you use, the success highly depends on a strong call-to-action. Make sure your influencer triggers followers to execute the desired action. Do you want to find out which content types will work best for your campaign? Get in touch by requesting a demo below and we’ll help you choose the right influencer(s) and content type(s).